Squire John plus Dorset Dave had the pleasure of welcoming the East Suffolk Morris Men (ESMM) from Ipswich to Adderbury. This was the first stop on the second full day of their 60th anniversary celebratory tour. 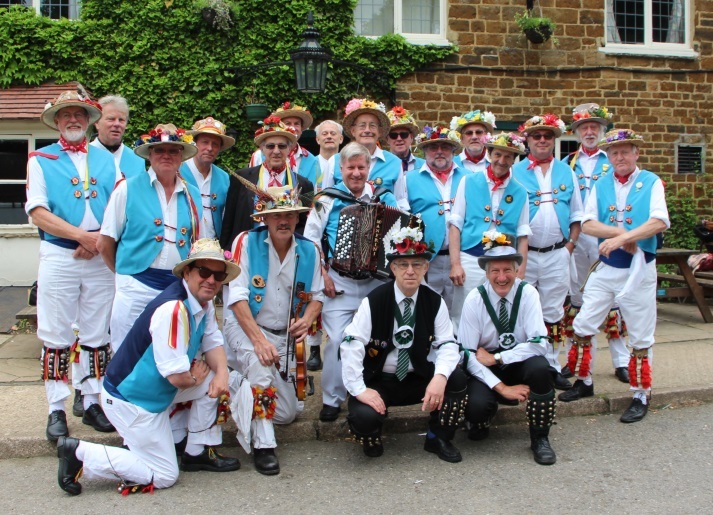 ESMM tour organiser Mike Palmer informed us that instead of their normal spring trip to the continent they are touring the Cotswold area to dance the numerous local traditions. Landlord Tony opened The Coach & Horses early to provide Wadworths refreshments, enabling them to kick off their morning performance with Black Joke and Lads a Bunchum, both done with an 8 man set. They were then keen to involve Dave and John in the dancing, so our two AVMM stalwarts joined Beaux of London City and Princess Royal. Much swapping of Morris tales then took place over a few beers before ESMM reboarded their minibuses. 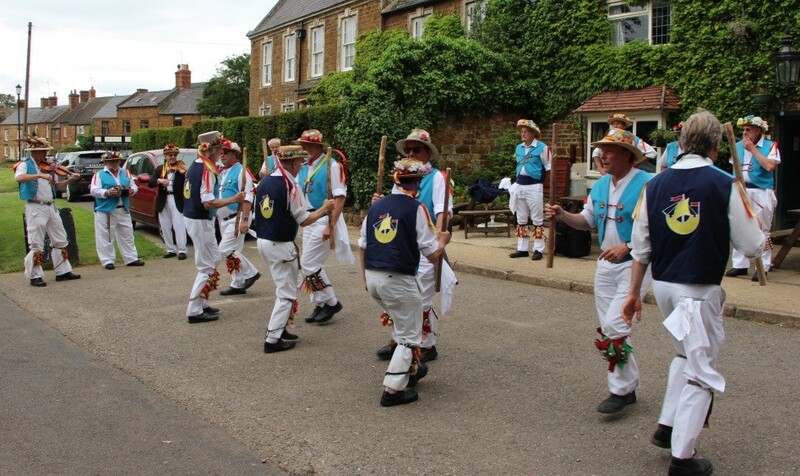 Their plan was to move on to Ilmington, Moreton in Marsh, Longborough and Oddington before returning to base in Hook Norton, followed by more dance spots on Sunday. John was particularly delighted to meet ESMM member Mike Garland who was 1988 Squire of the Morris Ring. Dave comments that ESMM are a friendly bunch of lads and it is to be hoped that we can get together with them again, either in Oxfordshire or Suffolk.